Vinpocetine is a compound derived from vincamine, an alkaloid naturally occurring in Voacanga seeds. 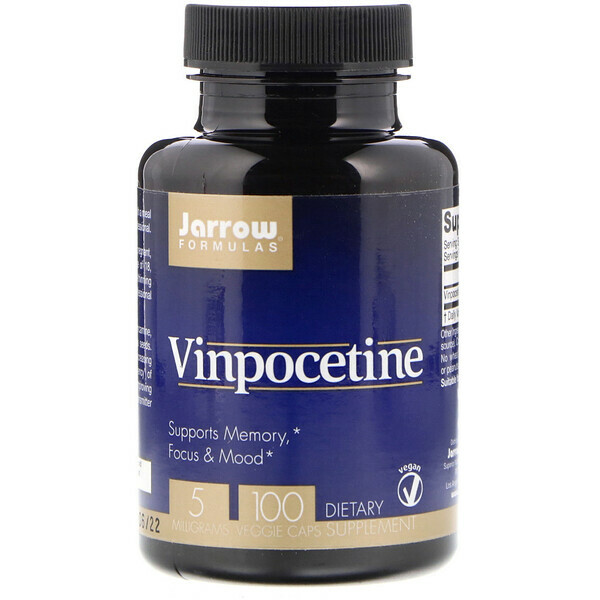 Vinpocetine supports brain metabolism by increasing cerebral synthesis of ATP (the universal "currency" of energy), enhancing brain metabolism by improving utilization of oxygen and modulating neurotransmitter release in areas associated with memory. 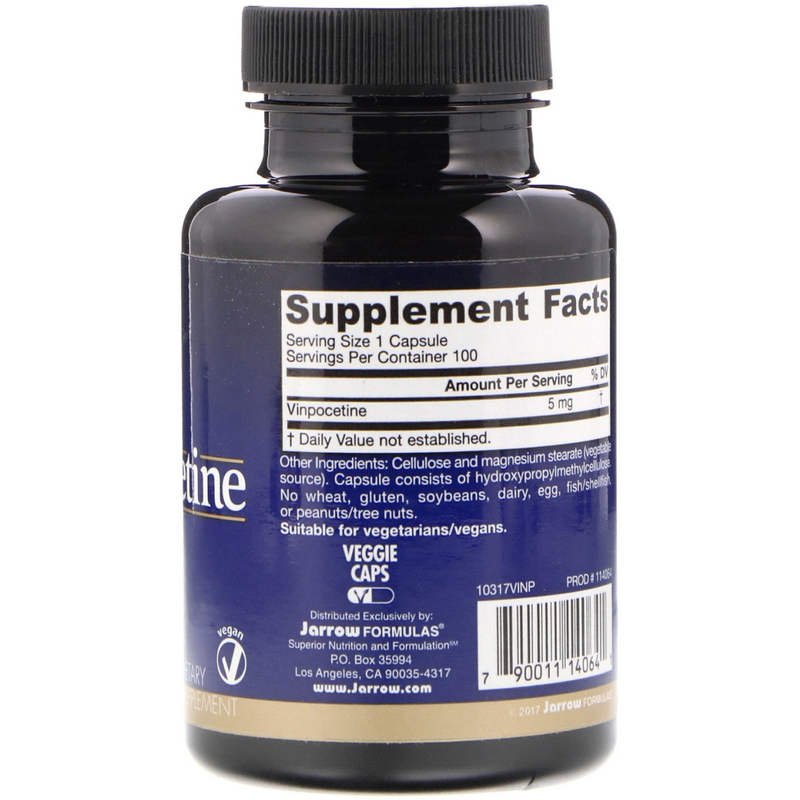 Take 1 capsule 1 or 2 times per day with a meal or as directed by your qualified healthcare professional. Cellulose and magnesium stearate (vegetable source). Capsule consists of hydroxypropylmethylcellulose. Note: If you have a medical condition, are pregnant, lactating, trying to conceive, under the age of 18, or taking medications (especially blood-thinning medications), consult your healthcare professional before using this product.